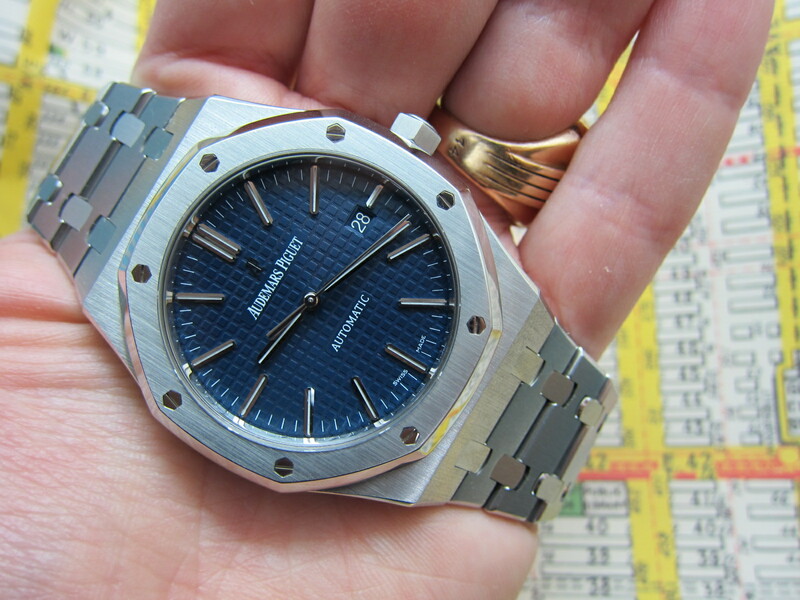 Spectacular and super mint Royal Oak Jumbo Size with Boutique only rare Blue Dial. You can only get a blue dial Royal Oak if you buy it from the brand’s stores and very hard to get! Reference 15400 is the latest version of the Royal Oak and clocks in at 41mm of case diameter. H serial dates it to 2012. Complete with it’s box and papers (from Milano AP Boutique) , fully linked and in flawless condition. Movement running strong and keeping time.